Here is part 2 of my Beauty Product Review of 2011. I made another video with beauty products that I recommend, now focusing on makeup products which I recommend. My second video shows Beauty Product Review of makeup products. This time my video is focused on makeup products only. I personally do not like to vlog so please keep that in mind when watching this video. So this video in short included beauty products review that includes my most loved products of 2011. Here is the beauty product review latest video which included only makeup products. This is the list of beauty product review products that were mentioned in the video. Click on any orange link that will redirect you to a beauty product review of that product. I hope that this video tutorial was somewhat useful. 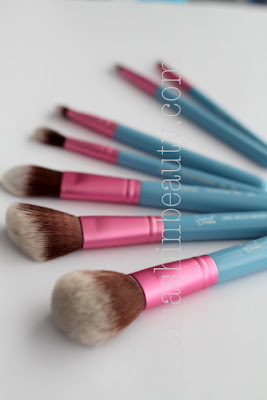 Click here to read about my Sigma Brushes coupon code for January and save 10% + get a FREE premium gift.